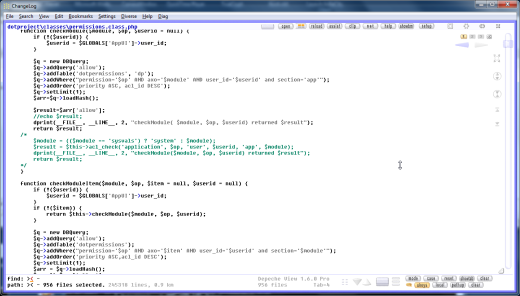 A Windows desktop program to view text files on touch devices like Acer Iconia W3 810. Depeche View Pro is a true Windows desktop application with touch screen support to read plain text files of a folder fast and comfortable. 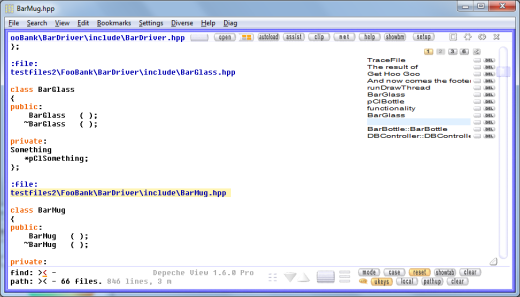 Depeche View Pro allows to load all ASCII plain text files of a folder, showing all text content in one window for an instant fly-over. 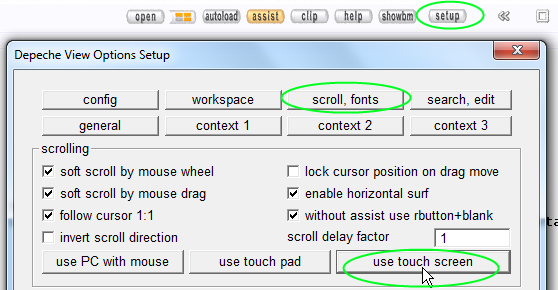 By selecting Setup / Scroll / Use touch screen, the touch support is enabled. You may then grab and drag the text just like on a Smartphone or Tablet, allowing to fly over many text files with small Windows touch devices like the Acer Iconia W3 810. Download the free 30 days demo here or from the Depeche View Product Page.